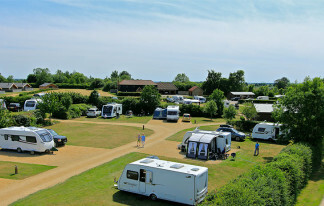 Our 5-star park is a proud winner of an AA Campsite of the Year award and offers an unforgettable holiday experience. Surrounded by beautiful Fenland countryside, Fields End Water is an award winning, adults only, dog friendly caravan park which is perfect for touring, camping or mini breaks via our lodges which feature a private hot tub! We are a very quiet and peaceful family run park, not close to any major roads or flightpaths. 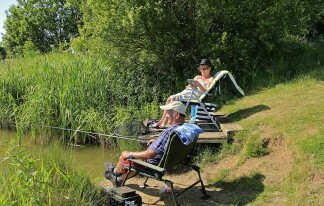 Whether you’re looking to explore the local area, relax and unwind or make the most of our two carp fishing lakes, Fields End Water is the perfect place to see and do it all. 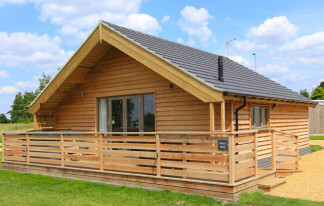 If you don't own your own caravan/motorhome, than why not rent one of our luxury fishing lodges, please see our Lodges page for more information. We would just like to notify you that we have made some changes to our deposit and cancellation policy, from the beginning of December 2018. We will honour our terms and conditions for booking made prior to these changes.